You can also pick up a pot and feel the weight of it to determine if it needs water. This will take some experience—be sure to lift up your pots after watering to get a feel for how heavy they are when full of water. This will give you a sense of what a light, or dry, plant feels like. 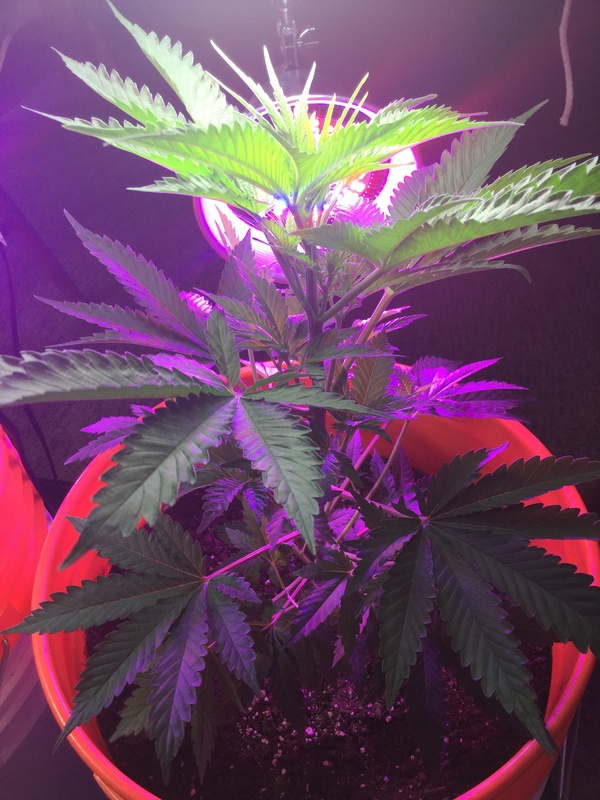 An underwatered plant looks droopy and weak, with yellow or brown leaves. There is no strength in the leaves and they feel lifeless. But an overwatered plant look similar, except that the leaves are dark green and the leaf tips will curl as if they are hiding from the water in their pot. 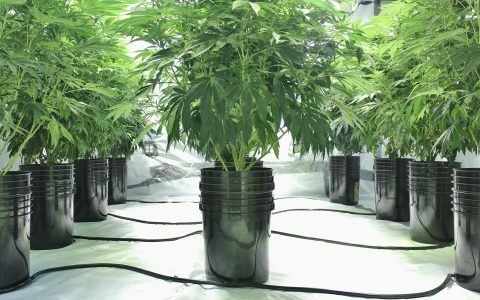 Obviously you don’t want your plants to ever be in either condition, but as you figure out your cannabis watering schedule, keep in mind that it’s better to underwater plants rather than overwater them. 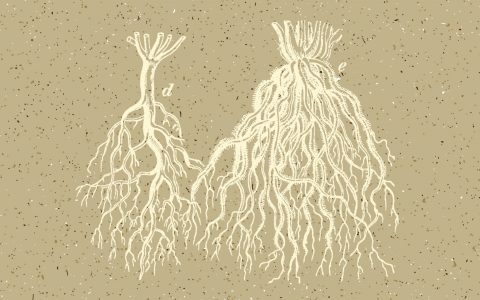 Roots pull in oxygen as soil dries and when soil is too wet, the plant essentially can’t breathe. Pay attention to timing and note the intervals at which you water your plants, and even write it down in a log. But keep in mind that as plants get bigger, they will need more water and need to be watered more frequently. 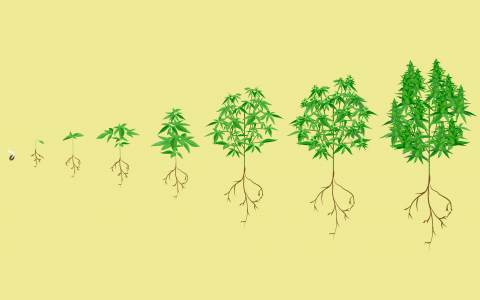 How Much Should You Water Cannabis Plants? You want to soak the pot and have run off through the drainage holes in the bottom of the pot. Water should pool up on the surface of the soil while you’re watering, but it shouldn’t sit on the surface after you move on to the next plant. If a plant is very dry, water will run straight through the pot and quickly come out the drainage holes. If this happens, water the plant a little bit and come back to it after 10 minutes or so and water it again, and maybe even a third time. This will allow the soil to slowly absorb water incrementally, until all of the soil is thoroughly wet. Take notes, make calculations, and get your plants on a watering schedule. Setting a cycle where the plant needs to be watered every two to three days is ideal. As the plants grow, so will their need for water. You might need to top-off individual plants in between their full waterings as they grow and you figure out a consistent watering schedule. The sooner you find the sweet spot between too wet and too dry, the sooner you’ll see your garden flourish. Is Your Container the Right Size? 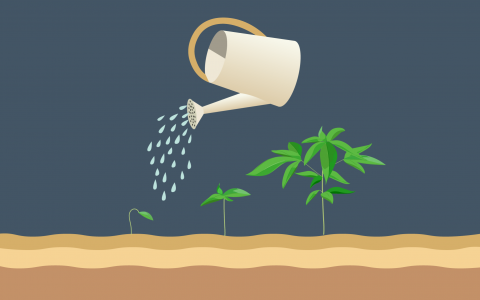 To properly hydrate a cannabis plant, it needs to be in the correct container size. If the pot is too big, the plant can’t drink water where its roots don’t reach. If the roots aren’t absorbing water, water will sit and take a long time to evaporate, which can promote unwanted insects, fungus, and root rot. Conversely, if a container is too small, the roots won’t be able to stretch out, which will ultimately stunt the growth of the entire plant. You will also need to water the plant all the time, which will add to your labor. Ideally, plants should start in a small pot and progress to bigger and bigger pots as it outgrows each container. 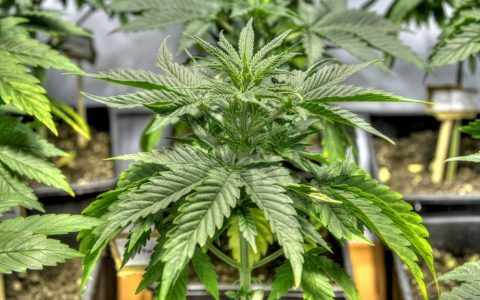 For example, you can start a clone or seedling in a 4″- or 1-gallon pot, then move on to a 2-gallon, 5-gallon, 10-gallon, and so on. Plants are ready to transplant when a healthy root structure encompasses most of the soil, but the roots aren’t bound. Transplanting is a good opportunity to see the quality of your roots: bright white roots, with a strong thick structure is a sign you have been watering your plants correctly. These materials will help optimize your plants and make the watering process easier and more efficient. Perlite comes from obsidian, which is a volcanic glass. It is produced when obsidian is heated to a high temperature and then expands. 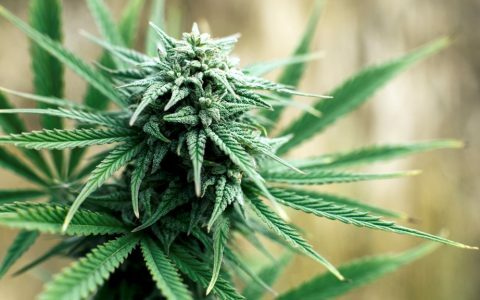 It’s light, porous, and organic, making it a great addition for your soil, as it prevents soil from clumping and promotes oxygen flow. These pots are made with canvas, and the fabric helps roots breathe, allows heat to escape, and lets water drain. All of these traits will improve the quality of your plant roots and how they handle being watered. Drip irrigation lines allow you to water plants consistently and distribute water evenly across the pot. They also prevent your pots from flooding on the surface when getting watered, which will cause perlite to come to the surface where it is useless. Drip systems also help prevent evaporation when you’re gardening in a hot climate. It’s crucial that you measure how much water you are giving your plants. 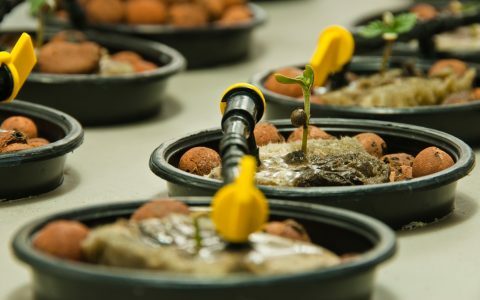 If you have an irrigation system, figure out the flow rate and set a timer so you can gauge when it’s time to move on to the next pot, ensuring every pot is receiving the same amount of water. 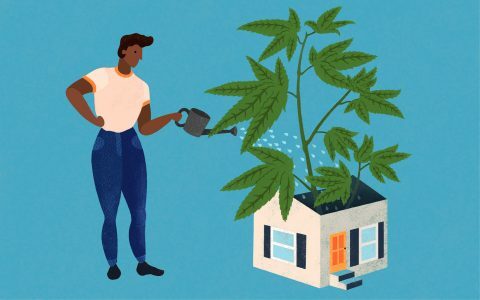 Growing How to Grow Cannabis Indoors Growing How to Grow Marijuana Outdoors: A Beginner's Guide Growing How to Grow Hydroponic Cannabis Growing What Are the Benefits of Greenhouse Cannabis Cultivation? The story didn’t mention what happens to plant roots when the soil dries out: There are two types of plant roots: The main root system and the tiny “feeder” roots at the ends that actually take up moisture and nutrients for delivery to the plant. If the soil dries out, these feeder roots die and it takes a week for them to regrow. In the meantime, while the plant may look healthy, it’s not actually growing much, and certainly not growing flower weight. If the soil can’t drain or is too dense, these feeder roots will drown and many may not even grow back. I solved this watering issue 20 years ago with “capillary watering.” This is how Mom Nature waters plants when it’s not raining: Automatically replacing moisture within the soil, molecule by molecule, on demand as the plant roots consume it, via capillary action. If you place a drop of water on a paper napkin and watch it spread out, that’s capillary action. This gives you the simplicity of soil with the performance of hydroponics, with almost no investment or maintenance. 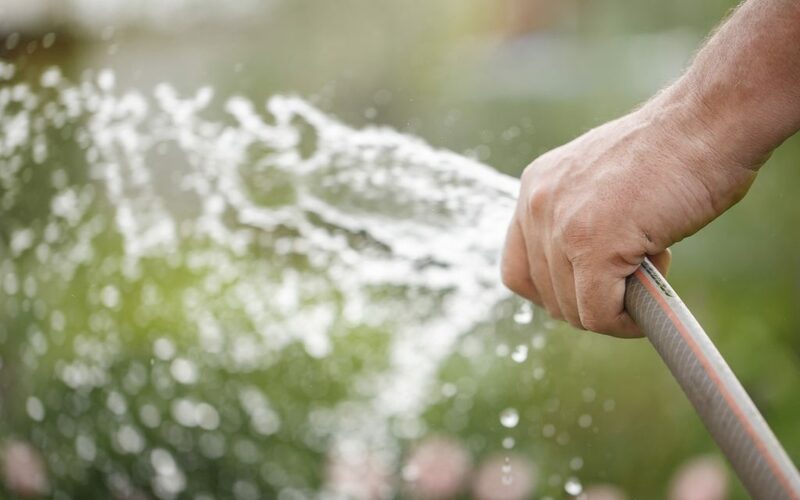 Cap watering is a simple, cheap and foolproof way, with no moving parts, to maintain the perfect growing conditions that the plants really need: Evenly moist soil at all times. Starting with excellent loose potting soil full of organic materials (i.e. peat moss or sterile compost, with some perlite), this is exactly what capillary watering does. If you’re not a soils expert, buying new professional potting soil with every crop is a worthwhile investment. Not top-watering also means that the soil doesn’t pack down, leaving the roots with plenty of air spaces within the soil to breathe. It also means that you’re not flushing nutrients out the bottom of the pot every time that you top-water. 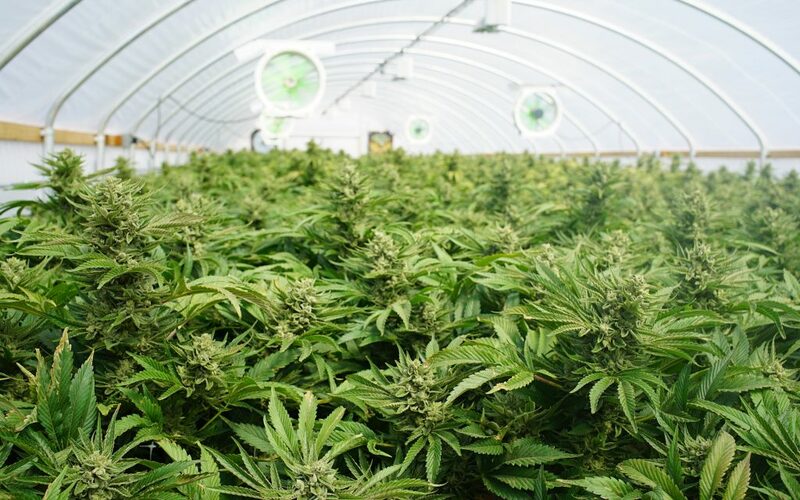 The only maintenance required is keeping the shallow bottom water reservoir, which can service countless plants, topped off once a week or so. If you automate that topping off with a float valve hooked to a faucet, after the first watering, you’ll never have to hand water again for the rest of the crop cycle. Check out YouTube videos for “capillary matting.” Lots of simple ways to engineer this, but keep in mind that capillary action will lift water, without moving parts, a maximum of about 6″. That’s all that you need. For smaller grows, I use a large mortar-mixing tub (10 gallons capacity for about $10) and place a 2′ X 4′ piece of 1.5″ styrofoam insulation board on top, resting on the edges of the tub – both are available from home improvement centers. Drill a 2″ hole in the middle of the sheet and feed a 12″ X 24″ piece of matting through it, with about half hanging down into the water reservoir and the other half spread out flat on top of the styro board. Cover the top of the board with more matting and that’s the total construction. I used the same system for years indoors and it never did wear out. When you need to top off the reservoir, you can do so through the same 2″ hole. If the matting surface feels damp, it’s working. If you stick your finger into the hole and don’t feel water, it’s time to top it off. For each individual pot (say 5 gallon size) before adding soil, run a wick of cut matting about 4″ wide X 18″ long through the bottom of the pot drainage hole, with 12″ going up through the center and fill with soil, with 6″ hanging out the bottom. Tuck the lower part flat under pot and set it on top, where the weight of the plant will maintain good contact with the base matting. Moss is going to grow on top of the open matting, but no big deal. If you can’t find cap matting, which is spendy, old polyester blanket material from the thrift store will usually work just as well. If you dunk it in a bucket of water and it stays damp after lifting it out, it will work. You *must* start out with damp matting. If it won’t readily hydrate, try adding a little plant soap as a wetting agent to the hydration bucket water. The one issue I have with your capillary watering is that there is no run off, and if your feeding the plants with concentrated liquid nutrients you need to flush the salts out that are left behind once the nutrients are absorbed, if not you have a very good chance of getting nutrient lock out due to the high nutrient salt content. For every gal of soil you have, you should have a 1liter run off. I grow in 3gal. smart pots and I water every other day, and feed twice a week. When I feed, I pour about 7liters of nutrified water in each pot and get approx. 3 to 4 liter runoff. My Indica’s seem to love it. Bridget – Smoke a cigar! 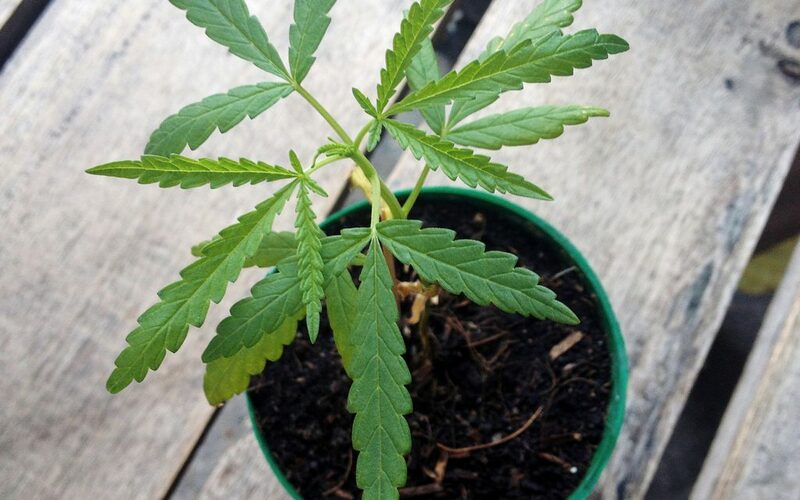 On important Tips on watering which has been passed by my Indoor Gardeners team (Sijigreenhouse) was that If your cannabis plants shows signs of drooping, chances are you are over or under-watering. In order to prevent over or under-watering, make sure you water thoroughly every time (don’t just water a tiny spot in the middle of the pot, you should be getting 20-30% extra runoff water every time), and wait to water again until the top inch of the growing medium feels dry, up to your first knuckle or so.